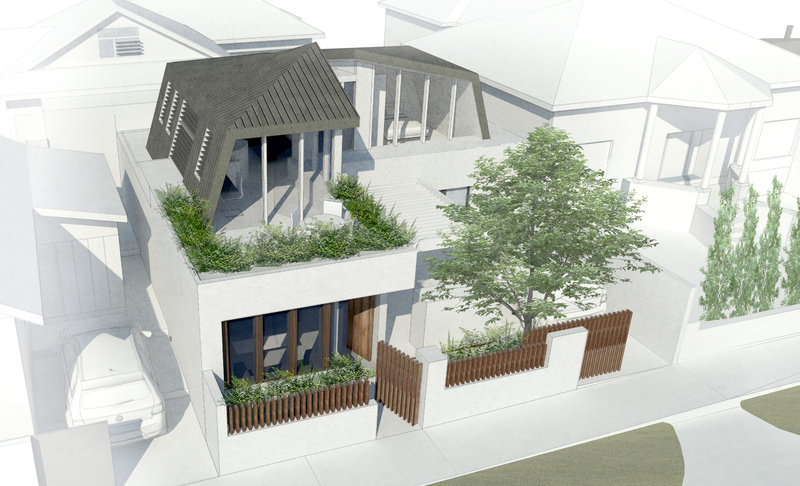 Pete's Pad is a dual occupancy site with a new townhouse inserted behind a heritage listed residence. 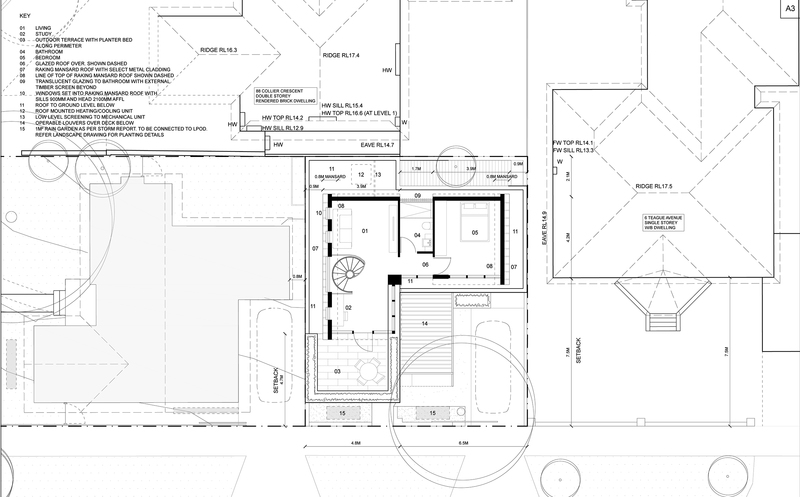 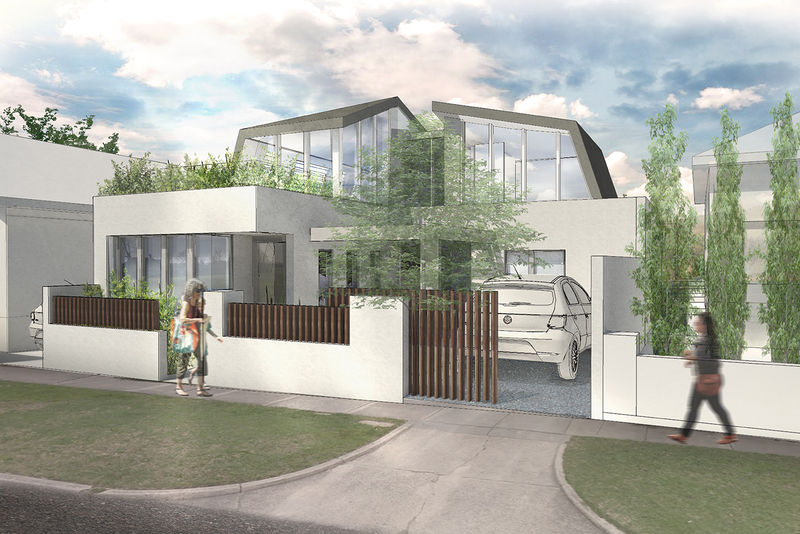 The design proposes the retention of the generous front yard and renovation of the existing dwelling with a cleverly planned two storey dwelling to the rear of the property. 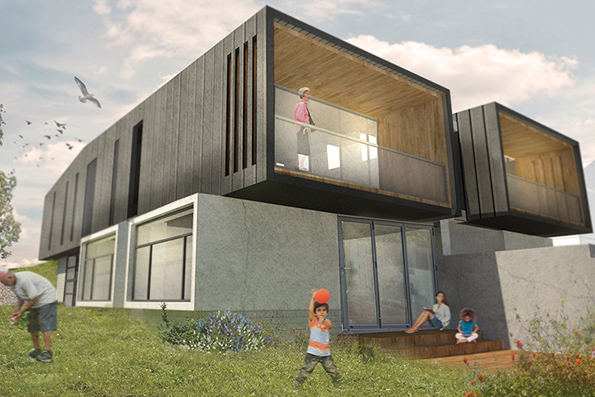 The townhouse maximises the use of the site while sitting comfortably into the context of the existing streetscape. 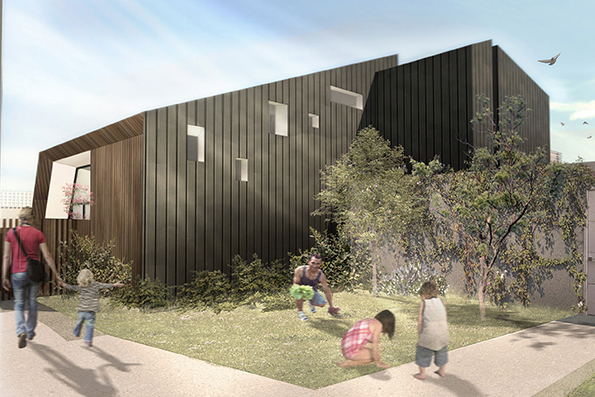 Building setbacks are derived from the surrounding building stock while creating opportunity for onsite parking and carefully landscaped courtyard spaces. 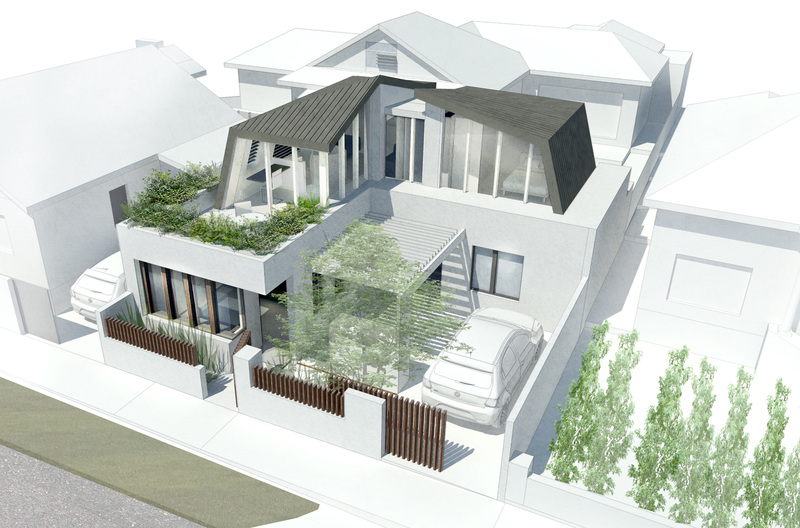 The raked 'Mansard' style upper level is a nod to the hipped roof streetscape while maximising the usable floor area of the upper storey living and bedroom. 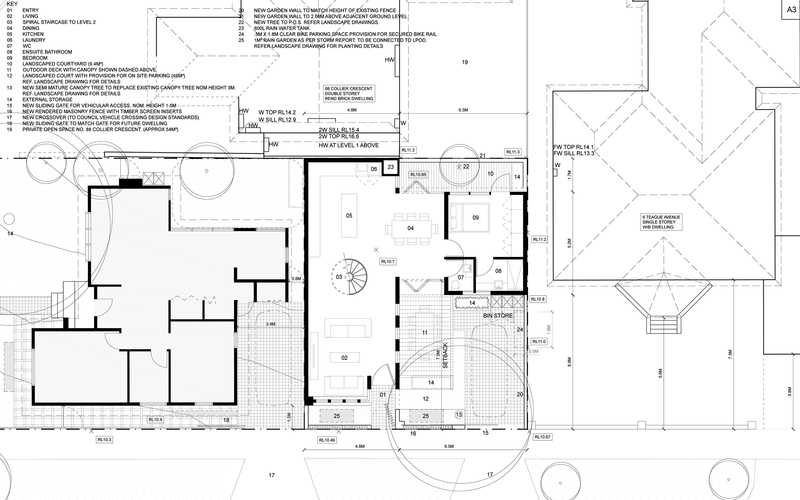 Despite the very small site the home has been cleverly planned to maximise usable space and allow ample natural light and outlook to landscaped courtyards.